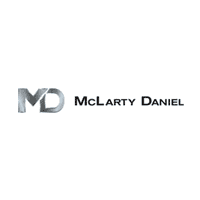 Welcome to the All New McLarty Daniel Chrysler Jeep Dodge Ram!! CARFAX One-Owner. Clean CARFAX. Ruby Red Metallic Tinted Clearcoat 2018 Ford F-150 XLT 4WD 10-Speed Automatic 5.0L V8 1 Owner Car fax, Non Smoker, Ask About MD Advatage 7 Year 200k Miles, 4WD, ABS brakes, Compass, Electronic Stability Control, Illuminated entry, Low tire pressure warning, Remote keyless entry, Traction control. Odometer is 8562 miles below market average! Welcome to the All New McLarty Daniel Chrysler Jeep Dodge Ram!! CARFAX One-Owner. Clean CARFAX. Deep Cherry Red Crystal 2013 Jeep Wrangler Unlimited Sahara 4WD 5-Speed Automatic 3.6L V6 24V VVT 1 Owner Car Fax, Non Smoker, Ask About MD Advatage 7 Year 200k Miles. Odometer is 20543 miles below market average! Welcome to the All New McLarty Daniel Chrysler Jeep Dodge Ram!! Clean CARFAX. Brilliant Black Crystal Pearlcoat 2017 Ram 2500 Laramie Longhorn 4WD 6-Speed Automatic Cummins 6.7L I6 Turbodiesel LIMITED EDITION, 1 Owner Vehicle, Non Smoker, Ask About MD Advantage 7 Year 200k Miles, Ram Boxes. Odometer is 3819 miles below market average! Welcome to the All New McLarty Daniel Chrysler Jeep Dodge Ram!! CARFAX One-Owner. Clean CARFAX. Diamond Black 2019 Ram 1500 Laramie Longhorn 4WD 8-Speed Automatic HEMI 5.7L V8 Multi Displacement VVT LongHorn, 1 Owner Car fax, Non Smoker, Ask About MD Advantage 7 Year 200k Miles, HEMI 5.7L V8 Multi Displacement VVT. Welcome to the All New McLarty Daniel Chrysler Jeep Dodge Ram!! CARFAX One-Owner. Clean CARFAX. Bright White Clearcoat 2018 Ram 1500 Tradesman 4WD 8-Speed Automatic HEMI 5.7L V8 Multi Displacement VVT 1 Owner Car Fax, Non Smoker, Ask About MD Advantage 7 Year 200k Miles. Odometer is 6576 miles below market average! Welcome to the All New McLarty Daniel Chrysler Jeep Dodge Ram!! CARFAX One-Owner. Clean CARFAX. granite crystal metallic clearcoat 2018 Ram 1500 Tradesman 4WD 8-Speed Automatic HEMI 5.7L V8 Multi Displacement VVT 1 Owner Car Fax, Non Smoker, Ask About MD Advantage 7 Year 200k Miles. Odometer is 5463 miles below market average! Welcome to the All New McLarty Daniel Chrysler Jeep Dodge Ram!! CARFAX One-Owner. Clean CARFAX. Bright White Clearcoat 2018 Ram 1500 Tradesman 4WD 8-Speed Automatic HEMI 5.7L V8 Multi Displacement VVT 1 Owner Car Fax, Non Smoker, Ask About MD Advantage 7 Year 200k Miles. Welcome to the All New McLarty Daniel Chrysler Jeep Dodge Ram!! CARFAX One-Owner. Clean CARFAX. Bright White Clearcoat 2018 Ram 1500 Tradesman 4WD 8-Speed Automatic HEMI 5.7L V8 Multi Displacement VVT 1 Owner Car fax, Non Smoker, Ask About MD Advantage 7 Year 200k Miles. Odometer is 4229 miles below market average! Welcome to the All New McLarty Daniel Chrysler Jeep Dodge Ram!! CARFAX One-Owner. Clean CARFAX. Onyx Black 2018 GMC Sierra 2500HD Denali 4WD Allison 1000 6-Speed Automatic Duramax 6.6L V8 Turbodiesel HD Denali, Lift and Tires, 1 Owner Car Fax, Non Smoker, Ask About MD Advantage 7 Year 200k MIles, Allison 1000 6-Speed Automatic, 4WD, jet black Leather. Odometer is 12243 miles below market average! Welcome to the All New McLarty Daniel Chrysler Jeep Dodge Ram!! CARFAX One-Owner. Clean CARFAX. Bright White Clearcoat 2018 Jeep Wrangler Unlimited Sahara 4WD 8-Speed Automatic 3.6L V6 24V VVT JL Sahara Wrangler, 1 Owner Vehicle, Non Smoker, Ask About MD Advantage 7 Year 200k MIles Powertrain Warranty. Odometer is 10675 miles below market average! Welcome to the All New McLarty Daniel Chrysler Jeep Dodge Ram!! CARFAX One-Owner. Clean CARFAX. Glacier White 2017 Nissan Frontier PRO 4WD 5-Speed Automatic with Overdrive 4.0L V6 DOHC 1 Owner Car Fax, Non Smoker, Pro 4X, Leather, Navigation, Ask About Md Advantage 7 Year 200k Miles, 4WD, 4-Way Heated Power Passenger Seat, 8-Way Heated Power Driver Seat, Dual Power Heated Outside Mirrors, Leather Appointed Seat Trim, Navigation System, PRO-4X Luxury Package, Rear-Seat Fold-Down Center Armrest, Roof Rack w/Cross Bars, Tilt & Slide Moonroof. Odometer is 13536 miles below market average! Welcome to the All New McLarty Daniel Chrysler Jeep Dodge Ram!! Clean CARFAX. Flame Red Clearcoat 2017 Ram 2500 SLT 4WD 6-Speed Automatic Cummins 6.7L I6 Turbodiesel Clean Car fax, Non Smoker, 6.7L Cummins Diesel, 4WD, Ask About MD Advantage 7 Year 200k Miles Powertrain Warranty.